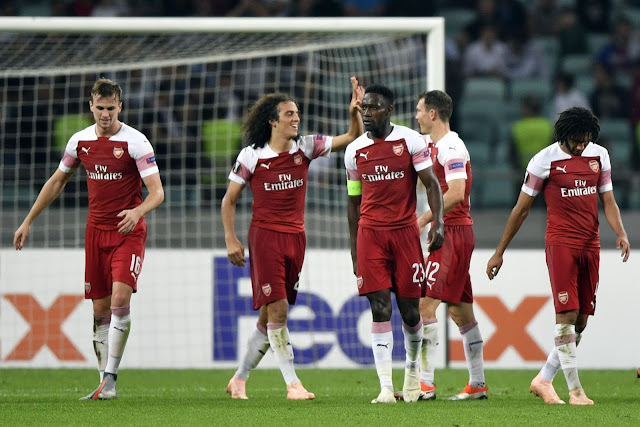 Though Arsenal got a win on Thursday against Qarabag in their Europa League game, Their defender Sokratis, however, believe they were to keep a clean sheet. Yesterday win was the second win for Arsenal in Group E putting them in pole position to be the Group winner once all Group games have been played. Though they put up a brilliant performance against the Azerbaijan side, but their defence was somethings open which made Qarabag to have some shoot on goal. Speaking with Arsenal website after the game, Sokratis reveal they were lucky not to concede and they still have a lot of work to do. Arsenal's next game is against Fulham on Sunday in the Premier League.